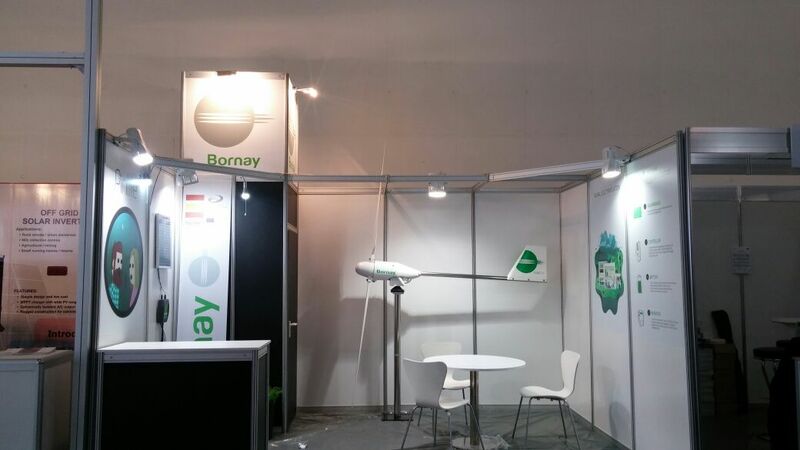 BORNAY CONSOLIDATES ITS INTERNATIONAL PRESENCE AT INTERSOLAR 2015. 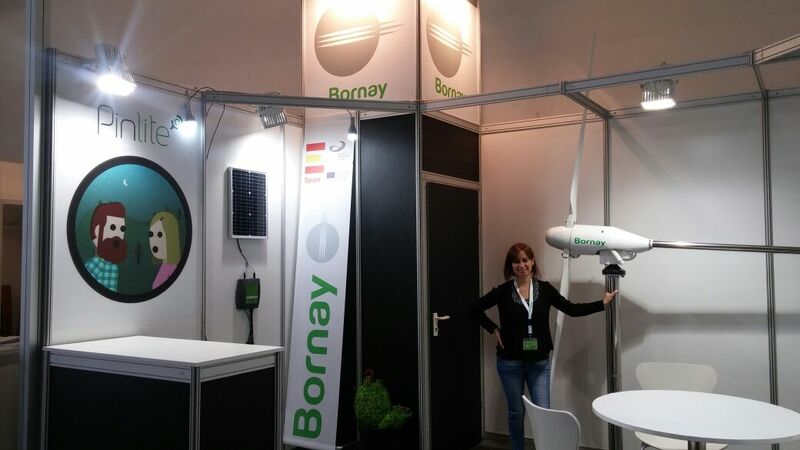 Bornay reinforced its international presence during the Intersolar Europe 2015 exhibition. The firm traveled to Munich for the second time to promote its wind turbines and its solar microstation, PinLite. Bornay was presented in Germany together with various companies belonging to Solartys. 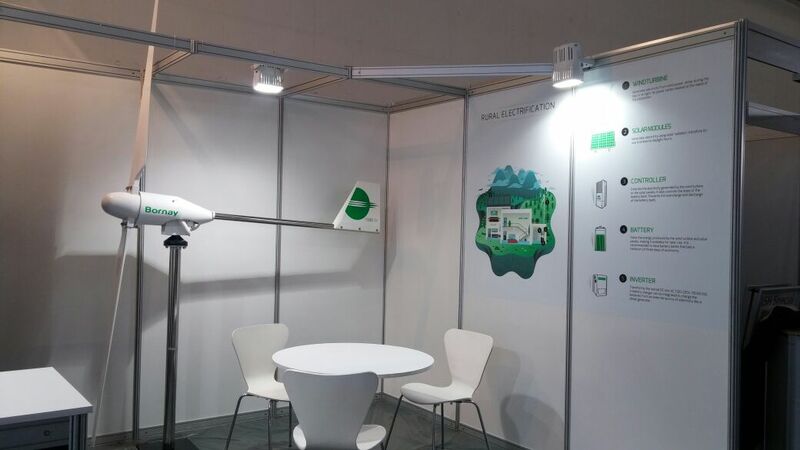 The presence of Bornay Aerogeneradores at this important fair served to reinforce and consolidate the company’s products at an international level and also provided the occasion for various meetings and encounters with clients and suppliers. The main products promoted at Intersolar were our wind turbines, manufactured with a strong base of internal research and development carried out in our I+D+i (research, development and innovation) department, and out newest product, PinLite, a solar microstation that takes energy to any place in the world. PinLite, thanks to a solar panel, makes it possible to connect a light bulb or charge a mobile telephone anywhere in the world, in an easy and economical way. Bornay took advantage of its presence at the fair to consolidate its relations with important suppliers of products that the company distributes. Company representatives met with leading firms like BAE, DEKA, TESLA or Victron Energie. This last firm awarded a prize to the company that was outstanding for its excellent efforts in the development of the market and sales in Spain.